Construction of China's first high-speed railway running through the country's southwest karst regions was completed on Sunday. The 857-km railway linking Guiyang, capital of landlocked mountainous province of Guizhou, with south China's economic powerhouse Guangzhou, is expected to become operational on Friday. Guizhou has the world's most typical karst plateau landscape, which was inducted as a UNESCO World Heritage Site in 2007. Karst topography is a landscape formed from the dissolution of soluble rocks such as limestone. 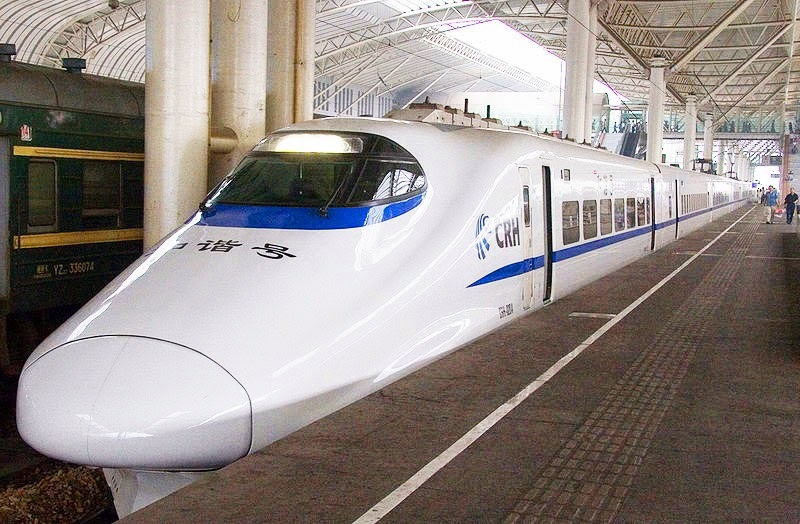 Stretching through the complicated karst clusters, the railway had half of its length run through 238 tunnels, two of which are more than 14 km long, said Zhang Jianbo, general manager of the Guiyang-Guangzhou High-Speed Railway Co. It took builders four years to drill through the two longest tunnels. Construction was often disrupted by breaking rocks, rupture of strata and water infiltration, Zhang said. The construction company applied for six national patents covering their shockproof technology which was adopted to reduce the vibration that occurs when a train travelling at 250 km/hour runs through mountain tunnels. Wang Mengshu, a tunnel expert with the Chinese Academy of Engineering, said the technology and machinery engineering developed for building the Guiyang-Guangzhou high-speed railway represents the country's new-generation innovation in tunnel engineering. China: Un tren de alta velocidad atravesará las montañas de 'Avatar' ..
La construcción de la primera vía férrea de alta velocidad que atraviesa las regiones kársticas del suroeste de China ha finalizado este domingo. La red, que se extiende a lo largo de 857 kilómetros y enlazan las regiones de Guiyang (Guizhou) y Guangzhou (Cantón), comenzará a funcionar el próximo 26 de diciembre, informa 'China Daily'. La provincia de Guizhou es famosa por sus paisajes de altiplano kárstico, que fueron declarados patrimonio de la UNESCO en 2007. Este relieve escarpado originado por la meteorización química de la roca caliza, entre otros factores, inspiró a James Cameron a la hora de crear el Planeta de Pandora para su película 'Avatar'.